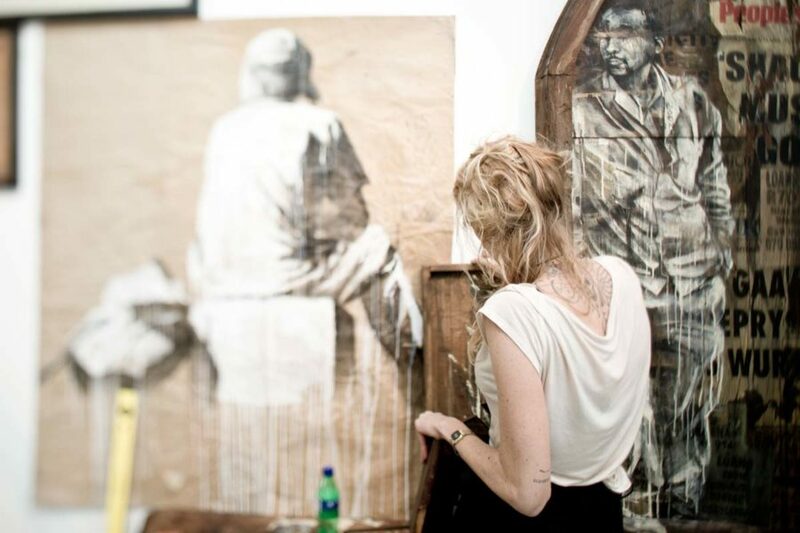 FAITH 47 is briefly back in South Africa after her move to Los Angeles. To all the followers of her work, we would like to share that she will be at the DAVID KRUT WORKSHOP at ARTS ON MAIN on Sunday 17 February 2019, 11am to 1pm, to talk about her experiences in re-locating to Los Angeles, and the also signing copies of the new book on her work. 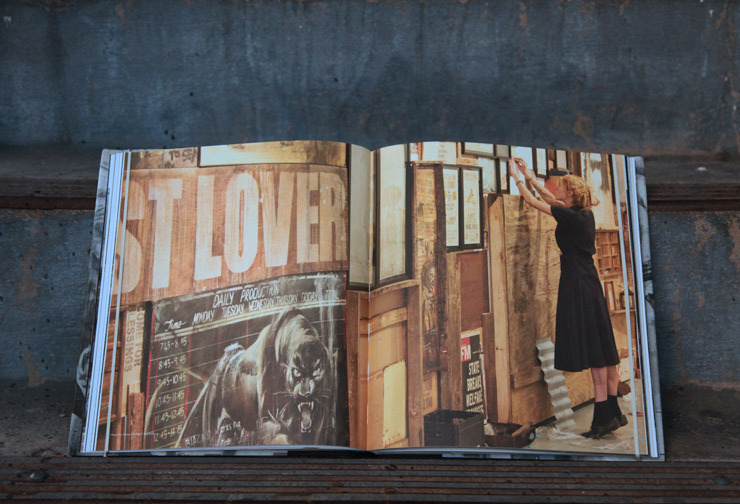 Published by Drago and edited by Roger Gastman, the handsome volume captures the opus works and gallery installations and hidden gems on temporary construction walls and pillars holding the highway, all part of the modern vocabulary of Street Artists who weave themselves into the fabric of the megapolis. But there is much more if you care to see it. 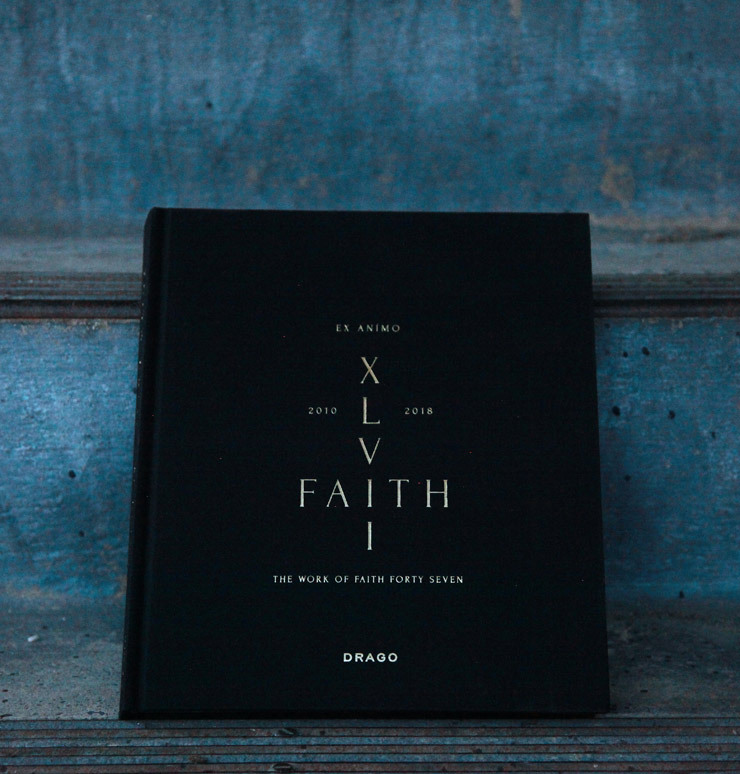 Link to Faith47’s Website on her new book. In November of 2012 Faith47 had a solo showcase entitled Fragments of a Burnt History, at David Krut Projects Parkwood from 8 November 2012 to mid-January 2013. The show comprised an installation of found objects and artwork created in the artist’s life and studio. 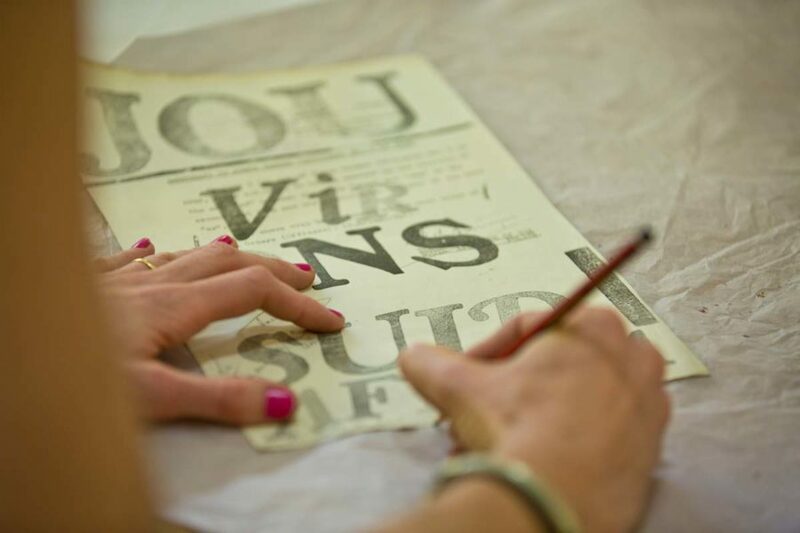 There was also a series of monotypes produced in collaboration with the David Krut Workshop. Faith47, who is now based in Los Angeles, is a highly recognized street artist whose work can be found in cities all over the world. 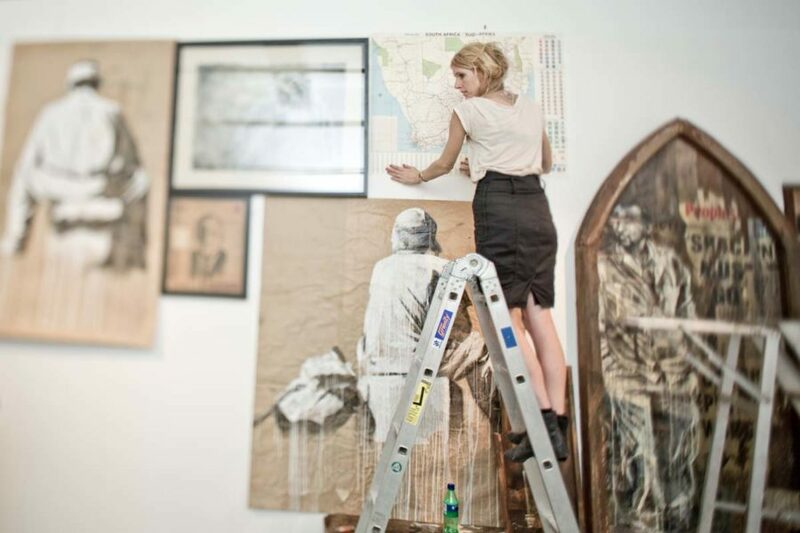 She has an established international gallery career, with exhibitions in Europe, America and Australia, but Fragments of a Burnt History was her first solo exhibition in South Africa, indicating a culture of cross-over from street to studio, that is already well underway abroad. 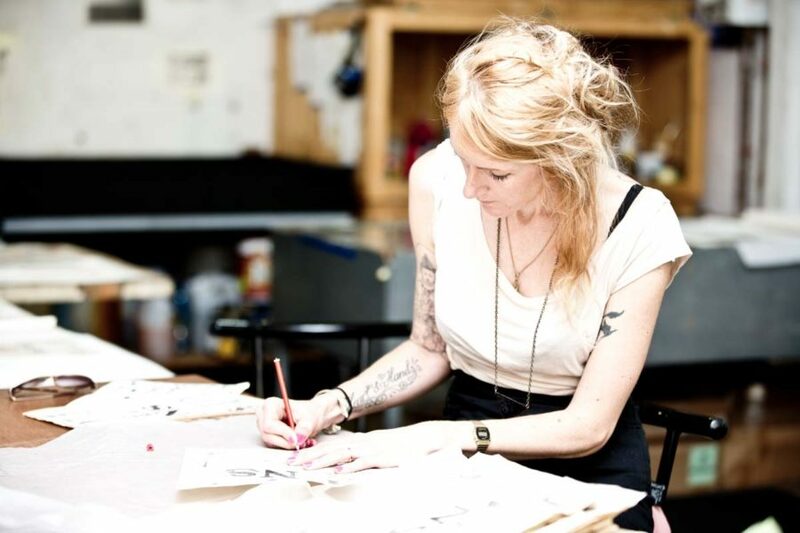 Below are links to Faith47’s time at the David Krut Workshop and her exhibition.